Come feed the animals! Experience domestic and exotic animals first-hand on a safari-style wagon ride. Antelopes, water buffalo, zebras and more. 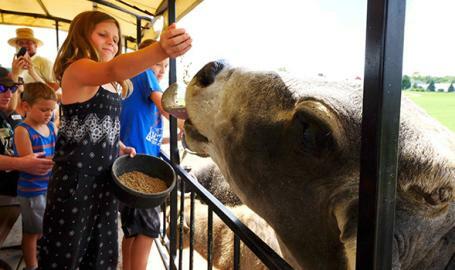 Take time to visit our Petting Zoo and feed the monkeys!